Is there a song you’d really love to sing? Whether it’s jazz, blues, gospel, country or pop, develop the voice you have, to sound the best you ever have. This workshop will provide a comfortable place for you to develop and/or enhance both vocal and performing skills to sing your song. Find your best key and your own style, get tips on breathing and phrasing, and learn how to work with musicians.You’ll build the confidence to showcase your accomplishment in the "Finale" for invited family and friends the last day of class, where you’ll also receive a certificate. 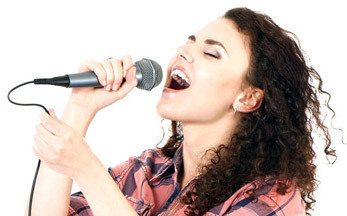 Don't put it off any longer; sign up now and follow your dream to find the singer in you!